To help raise awareness of H&S issues in a fun way for all its members of staff, MSL do a monthly H&S quiz. This month it is based around Slips, Trips & Falls. Make sure your entry is received before 28th February to be in with a chance of winning. Each month for both the winning staff entrant and customer / partner entrant there is a bottle of prosecco. 2. Which of the following is a bad example of proper workplace cleanliness? Keeping equipment on stairways where they can be easily located. Providing warning signs for wet floors. 3. When falling, it is best practice to break your fall with your hands. 4. What does the image (below) mean? 5. 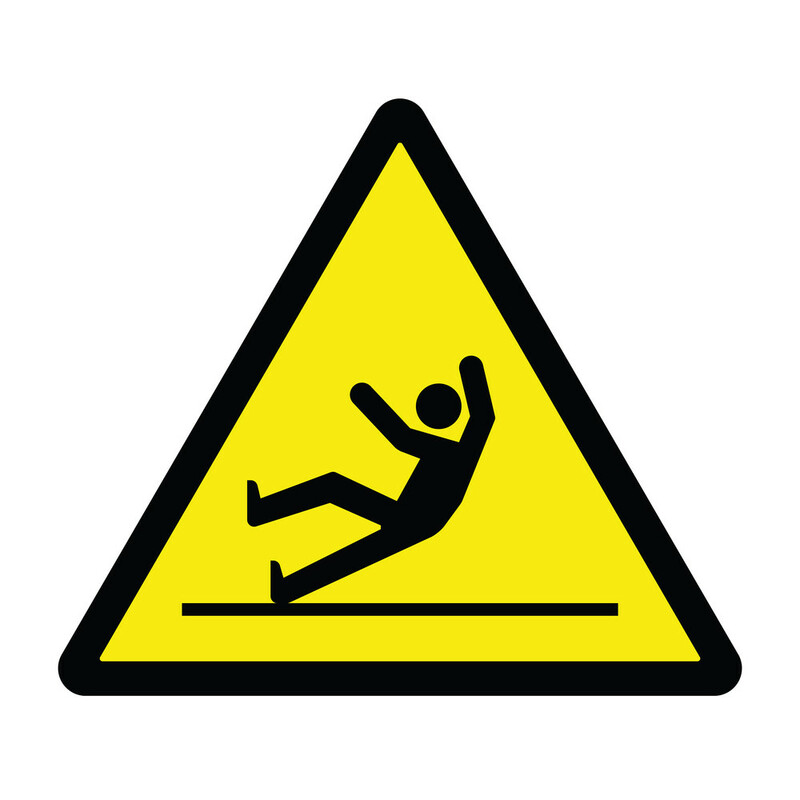 All slips, trips, and falls should be reported even when no one is hurt. 7. Which of the below is the highest risk of slipping?